No physician can cure her. No end is in sight. Until she hears whispers of a man whose mere touch can heal. After so many years of suffering and disappointment, is it possible that one man could redeem the wounds of body, heart, and soul? 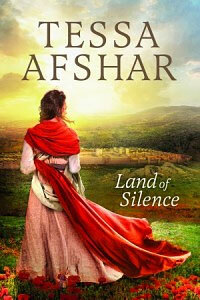 Land of Silence released May 1, 2016, from Tyndale House Publishers. Click the “Buy Now” button to order your copy from your favorite online bookseller.